In a rare show of solidarity, the panchayat leaders of Dzongu have formed a group, Save Dzongu, that cuts across political differences to save their river. River Rongyoung which is sacred to the Lepchas is not yet dammed. Dzongu is a reserved area of Sikkim and the traditional home of the state’s indigenous people, the Lepchas. The government's decision to build a number of dams on the Teesta and its tributaries sparked off a series of protests in the state. The Affected Citizens of Teesta (ACT), mainly of Lepcha youth, spearheaded a movement that made its presence felt across the globe. Their relay hunger fast continued for more than a year and compelled the government to commission a basin level study of the carrying capacity of the river. As a result of this, three dams were scrapped and many others have been stalled. The people of Dzongu consider this victory as incomplete. 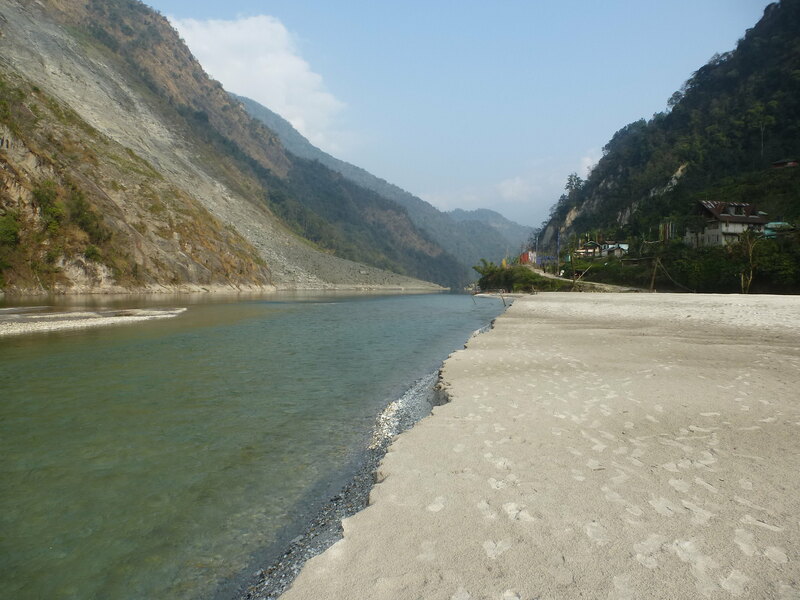 One hydropower project, Teesta V, has already affected the Teesta within Dzongu. Teesta IV, though there is opposition, is scheduled to start soon. There is also a project, Panang, planned on Rongyoung, the tributary of the Teesta that flows through Dzongu, and is sacred to the Lepchas. Ugen did not support the ACT when the battle to save the Teesta and the Rongyoung was at its peak. At that time, he and other gram panchayat members stood by the ruling party, Sikkim Democratic Front, and supported the hydropower projects. Things are different now. Ugen, along with 22 other panchayat presidents and zilla parishad members from Dzongu area is now staunchly anti-dam. They have formed a group called "Save Dzongu" with Ugen as the president. He is also a member of Sikkim Democratic Party, the ruling party of Sikkim, which has been pushing the hydropower agenda aggressively over the years. The members of this group belong to both the ruling party as well as the opposition. Save Dzongu and its members are stunning examples of how principles can overcome party politics. That’s not all. There was a suspension bridge across the river leading to the village Lum which was destroyed at the time of the construction of Teesta V by the NHPC. The villagers went on a protest at the NHPC office to demand a new bridge for vehicles to go to Lum. 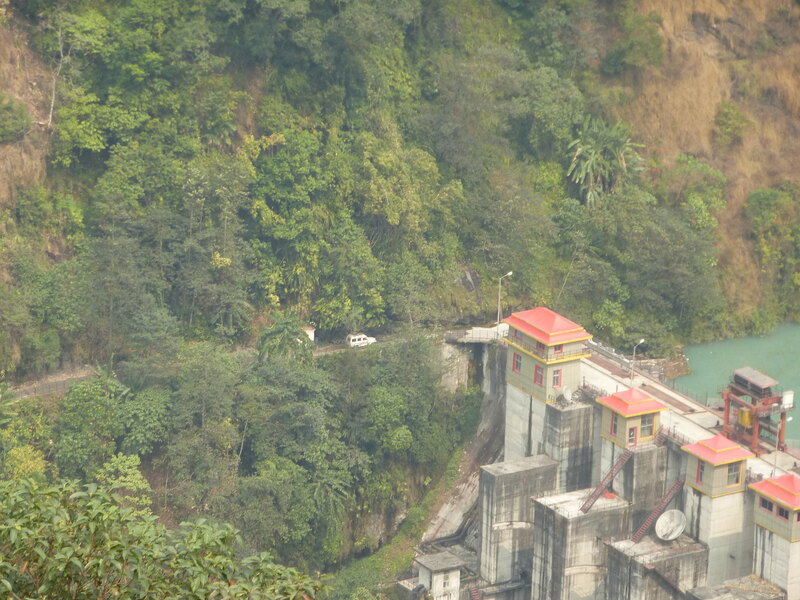 Instead, the NHPC agreed to let the Lum vehicles use the top of the dam as a road to the village. But till the dam was completed, the people did not have any option but to walk long distances for everything. “The NHPC has done many things like this. At the time of Teesta V, the chief secretary of the state, power secretary, and many other departments signed an MOU listing each department’s tasks. But none of these has been done yet. Also, of the assurances the project developers gave us, they left 60-70 percent unfulfilled. That is why we are also taking this stand that there should be no projects in Dzongu,” he says. He cites the case of Lum village where 350 households affected by the project are yet to be rehabilitated. The members of Save Dzongu are working on several fronts to present their case. They are providing support to litigations initiated by other citizens, meeting people in the Ministry of Environment and Forests as well as the Ministry of Tribal Affairs, speaking to the press, and putting sustained pressure on the local elected representatives and officials. Their strong point, however, lies in the members’ ability to influence panchayat decisions. Save Dzongu has established a ban on the villages accepting any assistance from the NHPC. The NHPC, like all companies, is legally bound by the Companies Act to spend two percent of its profits towards social needs as part of the corporate social responsibility. In Sikkim, as in other places, the NHPC implements this requirement by donating items to the affected villages. Not being aware that this is a legal mandate, villagers frequently feel beholden to the company. At the time of the construction of Teesta Lower Dam III, villagers felt pressurised to accept the dam because the company assured them that it will let them use the top of the dam as a bridge across the river. There are several instances like these where panchayats have been pressured to accept dams with promises of basic infrastructure like a road, or a bridge. This is an unethical approach since the right to determine the use of their natural resources rests with the panchayats and they are being tricked to barter away this basic right for something as destructive as dams. Save Dzongu began with a meeting organised by Gyaatso at his home. But Gyaatso reveals that a lot of preparation went into making the meeting possible. “It is not like Save Dzongu happened just in a day or a year. There was a process which took three to four years to complete. In 2013, I became the general secretary of the ACT. So I was able to do things that I wanted to do. Once I became the secretary, I started calling the panchayat to meetings. Earlier only one or two would come; then slowly they started attending the meetings and feeling they were part of the movement," he says. "They (the panchayats) are our own people and we know each other. Some guilt is always there, they have seen the struggle we faced when they were on the other side. It was up to me to open up and say that it was fine. Nothing is settled yet. There is still so much we can do,” he adds. While speaking of the various means he used to reach out to people, Gyaatso says, “I made phone calls; messages were sent out through various means. I am very active on social media, too. On Facebook, I keep updating on the rivers and the struggle. Then I got followers who supported the cause. I reached out to them. I held a workshop on dams and invited all the panchayats and even the pro-dam people to attend it.” Gyaatso says the workshop and the meeting gave them an opportunity to open up about what they felt about the dam. Since that initial meeting, matters picked up quickly. Now, this movement is spreading to panchayats beyond those that are members of Save Dzongu. Ugen says that after Save Dzongu, other panchayats approach them for advice when faced with similar problems in their area. Ugen cannot understand why this push for hydropower projects in Sikkim even though the state is power surplus. According to him, North Sikkim has already done enough sacrifice with Teesta III and V and doesn’t need more projects. 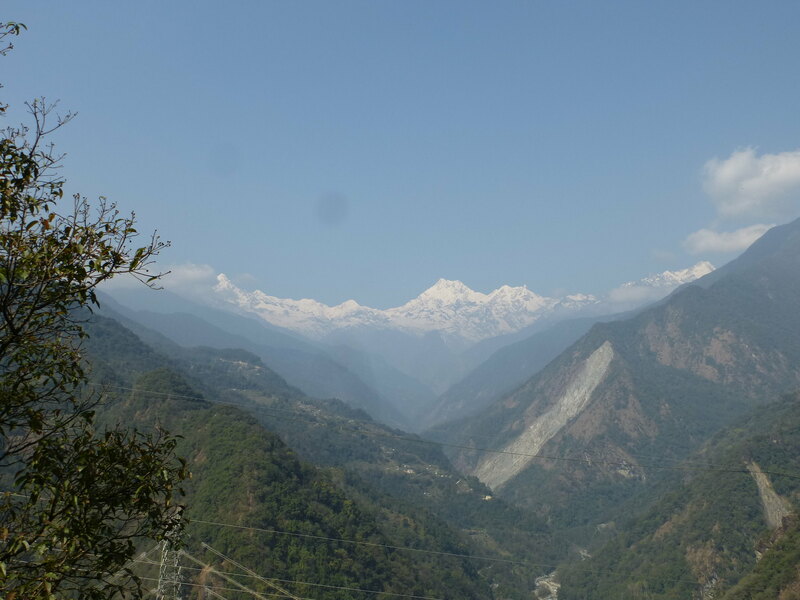 The field trip for this article has been funded by the CCMCC-NWO project--Hydropower development in the context of climate change: Exploring conflicts and fostering cooperation across scales and boundaries in the Eastern Himalayas.